Titian. 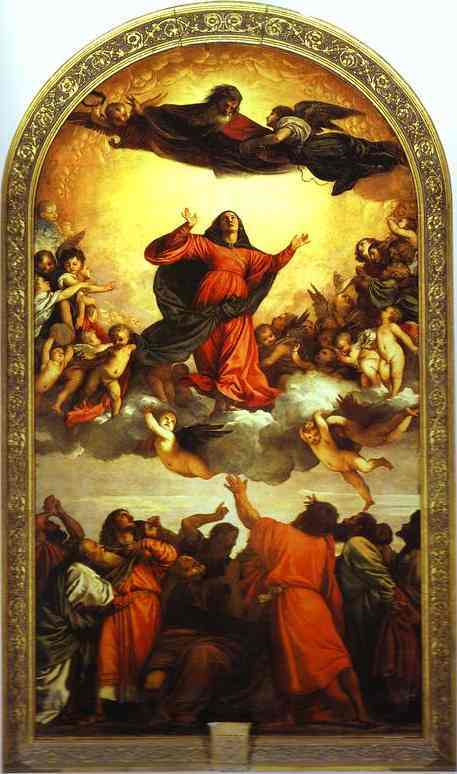 Assumption of the Virgin (Assunta). 1516-1518. Oil on wood. Nicolas Poussin. 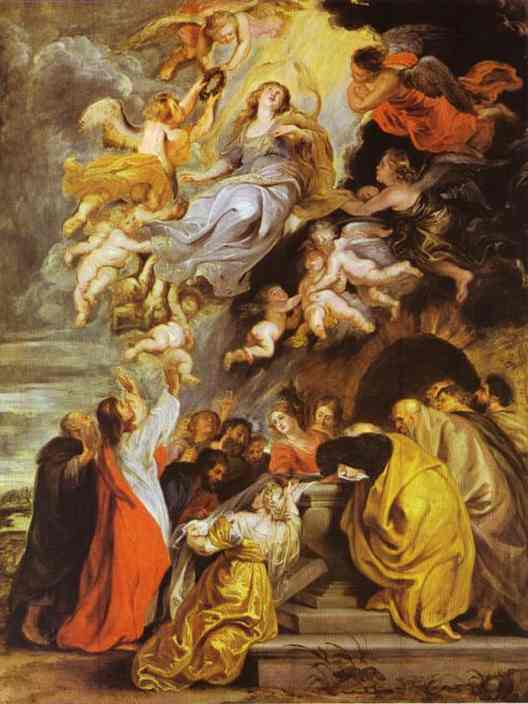 The Assumption of the Virgin. 1650s. Oil on canvas. Peter Paul Rubens. 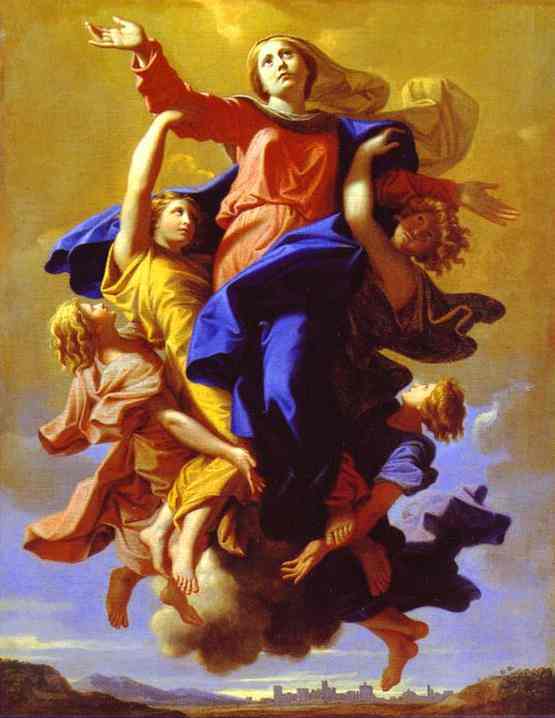 The Assumption of the Virgin. c.1626. Oil on wood. Bartolomé Esteban Murillo. 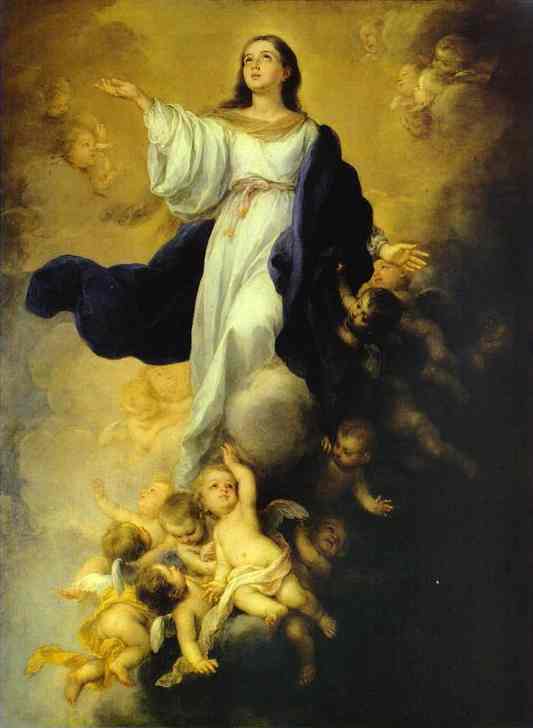 The Assumption of the Virgin. 1670s.